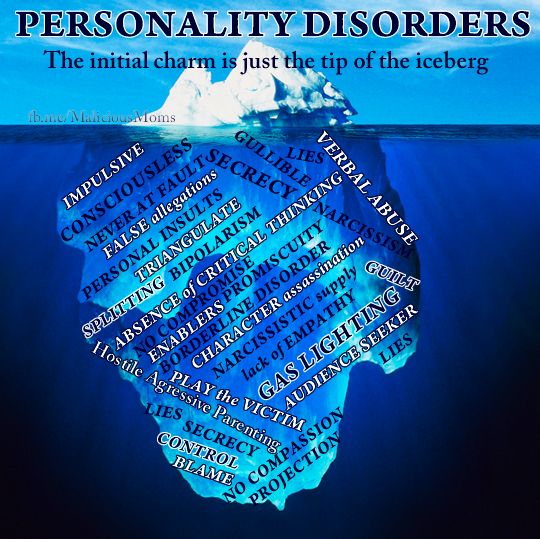 Many alienating parents suffer from at least one personality disorder and or bipolarism. Two personality disorders that frequently affect the behavior of alienating parents are Narcissistic Personality Disorder and Borderline Personality Disorder. The primary difference between bipolarism and borderline personality disorder is that bipolarism can be treated with medication and therefore is an Axis I diagnosis. Borderline personality disorder is an Axis II diagnosis in that medication can be administered but aggressive therapy is required even if medication is found to be effective. It is possible to be afflicted by both conditions simultaneously. In the current version of the DSM, Axis I and Axis II categorization is no longer used but are still commonly referenced. Dr. Craig Childress, Psy.D., offers an excellent handout that explains the PA process from within the family using standard accepted mental health constructs. His site is a wealth of information on this subject matter.